Get a taste of Vietnam’s history, culture and landscapes. Start in the colorful capital of Hanoi then cruise to UNESCO-Heritage Halong Bay. Walk through Hoi An’s old town before flying to vibrant Ho Chi Minh City. 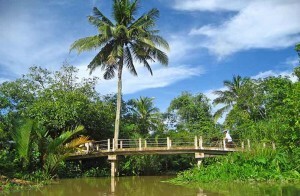 A boat trip through the Mekong Delta caps off this compact yet insightful holiday. Upon arrival to Hanoi, our guide and driver will be waiting to provide transport to the hotel for check in. The remainder of the day is free at leisure. Depart from the hotel in the morning for the Temple of Literature, Vietnam’s first university. Established In 1076, Quoc Tu Giam was established within a temple to educate Vietnam’s royalty, mandarins and members of the elite. After the Temple of Literature, pay a visit to the iconic One Pillar Pagoda, built in 1049 under the rule of King Ly Thai To. 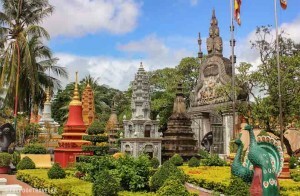 Nearby the pagoda is the mausoleum of the historic father figure of modern Vietnam, Ho Chi Minh, and his modest house on stilts where he lived from 1958 to 1969. (View the mausoleum from outside; closed Mon and Fri and from Oct-Nov). 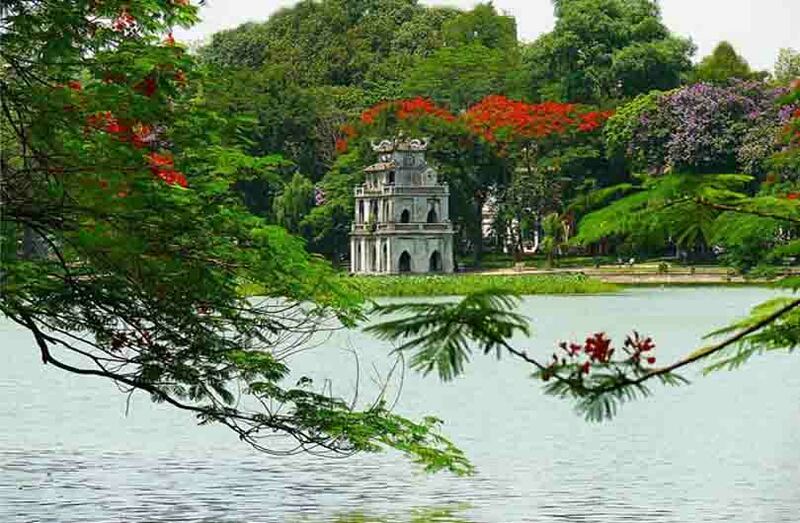 Continue to picturesque West Lake and the 6th century Tran Quoc Buddhist Pagoda. From here transfer (or stroll along the lakeside) 700 meters to the nearby Taoist temple of Quan Thanh. In the afternoon, visit the fascinating Ethnology Museum (closed Mondays), a research centre and public museum exhibiting the ethnic groups of Vietnam. As an alternative to the Ethnology Museum, visit the highly acclaimed Vietnam Women’s Museum, offering wonderful insight into the significant role Vietnamese women play in Vietnamese society. Conclude the tour with a visit to Hanoi’s Old Quarter. Take a walking tour through charming Hang Be Market and around Hoan Kiem Lake, a bustling area home to thousands of small businesses and shopkeepers. Wrap up the experience with a traditional Water Puppet show. This is a uniquely north Vietnamese art form depicting scenes from rural life and episodes of national history. Following breakfast, depart from the hotel in Hanoi for the 3hr 30mins drive to Halong Bay. 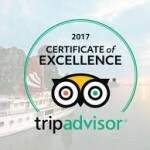 Arrive to the Halong City jetty around noon and proceed with check-in formalities. After a welcome on board, lunch will be served while cruising towards the bay. In the afternoon, enjoy some sightseeing, on-board activities (depending on each boat’s itinerary) or just spend some time relaxing. Towards the end of the day, the boat sets anchor for the night among the karst formations. Dinner is served on board. Enjoy a memorable morning in the middle of Halong Bay. Early risers can catch a stunning sunrise and breakfast will be served (brunch on some boats) while the vessels cruises slowly back towards port. Disembark and transfer to Hanoi for the onward flight to Da Nang International airport. Upon arrival to Danang, transfer about 30 minutes to Hoi An, a major Asian trading port in the 17th and 18th centuries whose architecture has changed little over the years. If time permits, stop in Danang to visit the Cham Museum. Enjoy the remainder of the day free at leisure. Begin the day with a walking tour of the ancient town center, visiting former merchants’ homes, the 400 year-old Japanese Covered Bridge and the colorful market. After the morning walking tour, enjoy the rest of the day at leisure exploring the old town or relaxing on the beach. After breakfast transfer to Da Nang Airport for the short flight to Ho Chi Minh City. 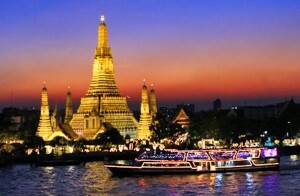 Upon arrival, our driver and guide will be waiting to provide transport to the hotel. In the afternoon, choose to visit the War Remnants Museum, History Museum (closed Mondays) or the former Presidential Palace. 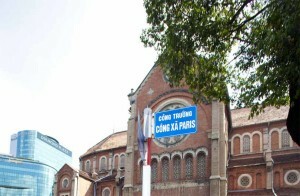 Stroll to the major sights of colonial Ho Chi Minh City: the Old Saigon Post Office, Dong Khoi Street (formerly Rue Catinat), Continental Hotel, Opera House and City Hall (a vehicle will be available at all times.). At the end of the afternoon head back to the hotel. Depart Ho Chi Minh City in the morning for a two-hour drive to the colorful delta town of Cai Be. 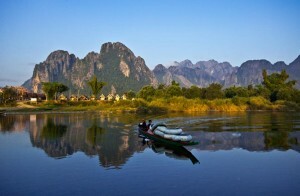 Upon arrival, board a boat for the day’s cruise through the Mekong. Start the journey by passing by Cai Be’s floating market, once a busy place to trade fruits and vegetables and nowadays a more quiet market. Continue to a cottage factory where ‘pop-rice’, rice paper and coconut candies are made. Return to the boat for a cruise to Dong Hoa Hiep Island, admiring the scenery and daily life of villagers along the way. Lunch will be local Mekong style serving specialties of the area. Return to Ho Chi Minh City in the late afternoon. Depart the hotel in the morning for a half-day Ho Chi Minh City tour. Head to Cholon, the Chinatown district, to discover the area’s markets, shops and Thien Hau Pagoda – dedicated to the goddess of the Sea. Visit Vietnam’s first traditional medicine museum, the FITO Museum, with an amazing collection of 3,000 items relevant to the development of traditional Vietnamese medicine. Implements used to prepare indigenous herbs, and objects commonly found in traditional pharmacies can be seen in the galleries as well as ancient books and documents on traditional Vietnamese medicine. After this unique visit, head back to the city centre to visit Ben Thanh Market where an incredible display of fresh produce is offered. Enjoy a stroll through the market exploring the variety of goods for sale. Enjoy some time shopping at leisure until transport (provided) to Tan Son Nhat Airport for the departing flight.